Now that I have been to both sides of Niagara Falls, I realized just how different the American and the Canadian side are and wanted to share with you the pros and cons of each side, similarities and the main differences, and which side I think you should visit when you plan a trip to Niagara Falls. Unless you’re a total geography buff, you’re probably not familiar with the exact location and division of the Falls between the U.S. and Canada, so let’s start with some background information. Niagara Falls are located 20 minutes (17 miles / 27 km) north of Buffalo, New York on the American side, and about 90 minutes south of Toronto, Ontario (75 miles / 121 km) on the Canadian side. The Falls are located on the Niagara River, a short river that connects Lake Erie with Lake Ontario (two of the five Great Lakes). Each side has a city right by the Falls, and both are appropriately named Niagara Falls. More on both later. Niagara Falls actually consist of three sets of waterfalls: the Horseshoe Falls on the Canadian side, and the Bridal Veil Falls as well as the American Falls on U.S. soil. Together, they make for the world’s biggest waterfalls by flow rate, with an average of 4 million cubic feet (110,000 m3) of water falling over the crest line every minute and up to 6 million cubic feet (168,000 m3) in high flow. While they are only about a third in width of Iguazu Falls and less than half the height of Victoria Falls, they are still an incredible sight and well worth a visit, and they are still the biggest waterfalls in North America. 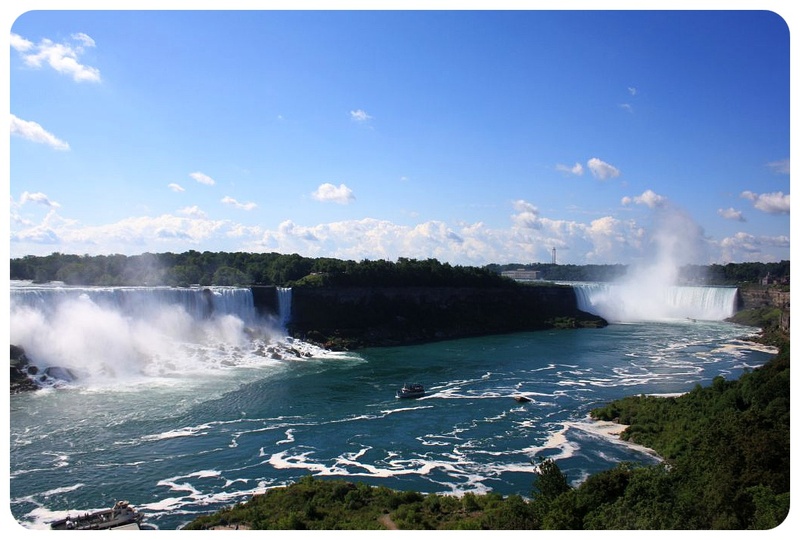 As I mentioned before, the Falls can be either visited from the American side or from the Canadian side, and I have compiled everything you need to know about visiting either side. Let’s start with what’s similar on both sides. 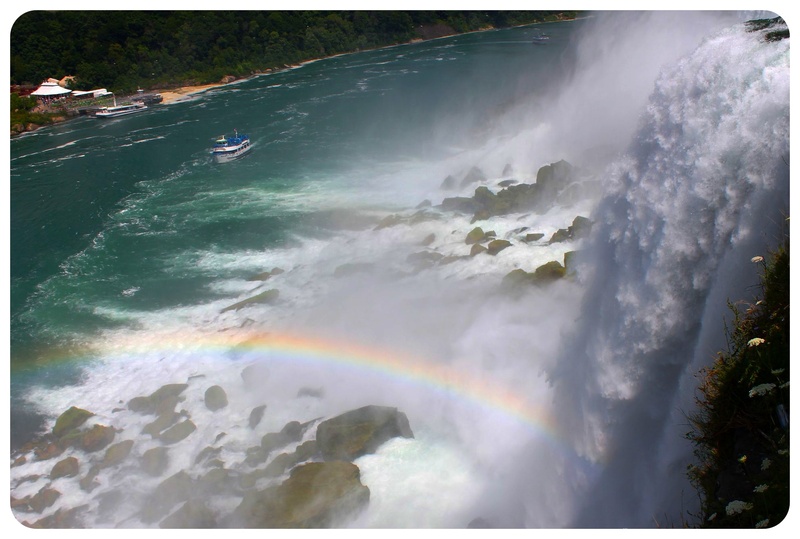 No matter if you’re visiting from the States or from Canada, you can take a 30-minute boat ride close up to the massive Horseshoe Falls; the Maid Of The Mist leaves every half hour from the U.S. and its Canadian counterpart is the Hornblower Niagara Cruise. Another thing that both sides offer is the possibility to get close up to the Falls with a set of walkways / viewpoints that are right by the Falls. It is possible to visit Niagara Falls entirely for free anything from either country. Getting close to the Falls from Canada and from the U.S. 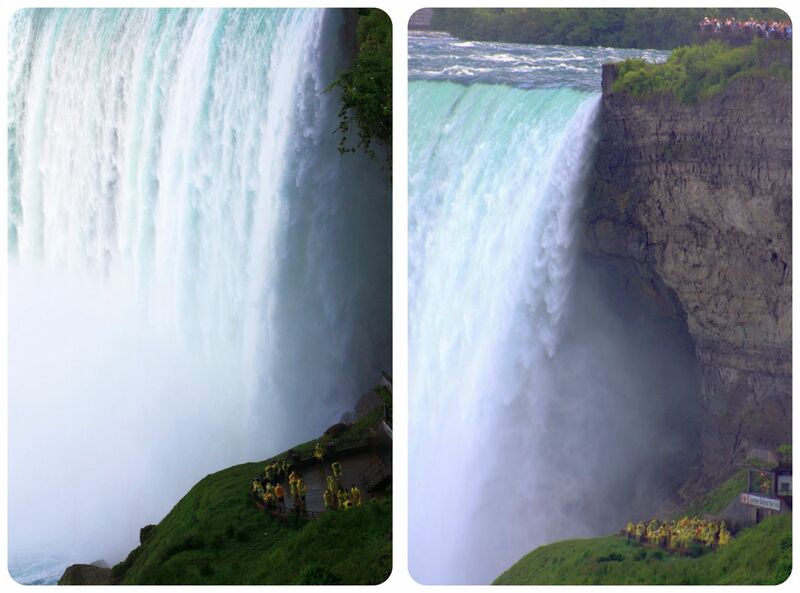 The biggest difference between visiting the Falls from Canada and the U.S. are the views you get. Let’s be honest, Canada just lucked out here and simply has the better vistas: you can get the entire panoramic view of all three waterfalls from the edge of the gorge here, while from the U.S., you’ll have difficulties seeing the entire ‘horseshoe’, despite the various observation decks. The American Falls themselves can only be seen if you pay to enter the Cave of the Winds walkways, but then you also only see them from the bottom and not in full panorama. The U.S. side has an advantage though: here, you can get really close to the Falls. 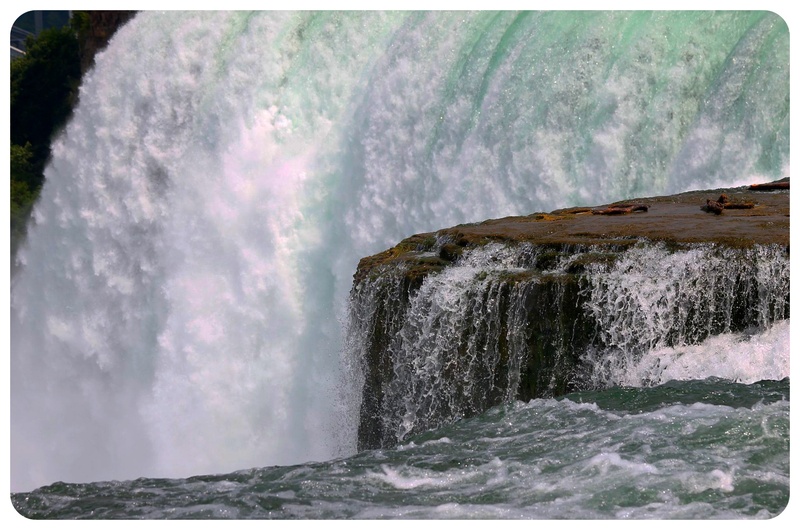 While you can get close to the Horseshoe Falls in Canada, you can truly feel the American Falls. The Canadian side of Niagara Falls offers you the full panoramic view of all the falls. You can walk along a wide sidewalk along the Niagara Falls Parkway right on the rim of the gorge for about a mile and look down into the Niagara River and see the Falls across from you. If you want even broader views of the Falls, you can go up on the Skylon Tower from where you have stunning overhead vistas. The Skylon Tower also has a revolving restaurant, so that you can enjoy a meal or some drinks with those epic views. Reserving a table here includes free access to the observation deck If you book only a ticket, it’s only CAD10.71 if you book it online! The Brunch Buffet at CAD27.50 is actually pretty good value, considering it includes the observation deck as well. Tip: You can now also see the Falls from the brand new Skywheel! Grab a ticket now for the introductory price of only US$11.10! You can get really close to the Horseshoe Falls if you pay for the Journey Behind The Falls experience. You get to take an elevator down 150 feet (45 meters), walk through a series of caves and finally get to an observation deck right next to the falls. While it is called Behind The Falls, don’t expect to actually get behind them: it’s more like getting a glimpse behind them. You will get drenched though (rain ponchos are provided), and will hear the thundering noise of the rushing water really close up. Admission for the Journey Behind The Falls is CAD15.95 plus tax. Scroll down to the bottom of this article to see the more tours you can take at Niagara Falls. 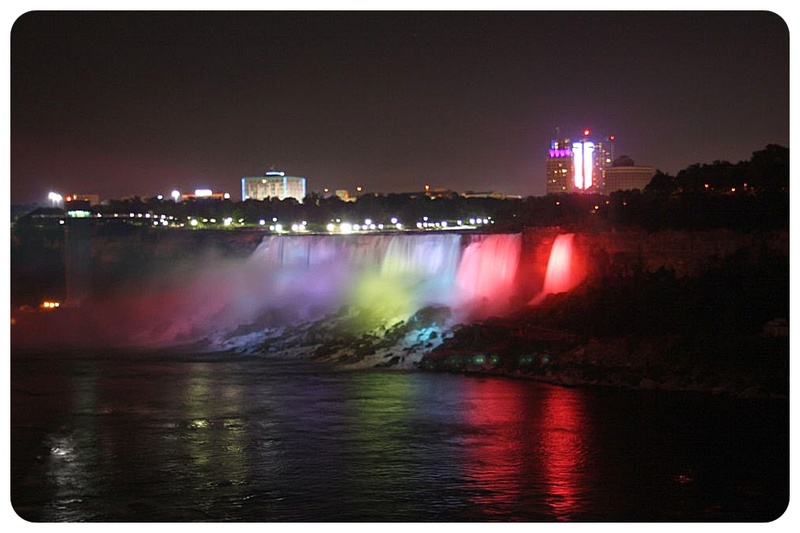 If you stay overnight, make sure to come back at night to see the Niagara Falls light show. After sunset, the falls are illuminated in changing colors – it is a neat sight. During the summer months, there are also fireworks on Fridays and Sundays and on public holidays. If you have difficulties walking, there is a hop-on hop-off bus service that connects the main attractions in town and several lookouts along the Falls; a day ticket is $7 per person. You can find the schedule and route map here. The American side might not have the panoramic views that Canada has, but it lets you get super close to the water. There is one big observation deck which you can enter for free and where you get the best vistas of a big part of the falls. 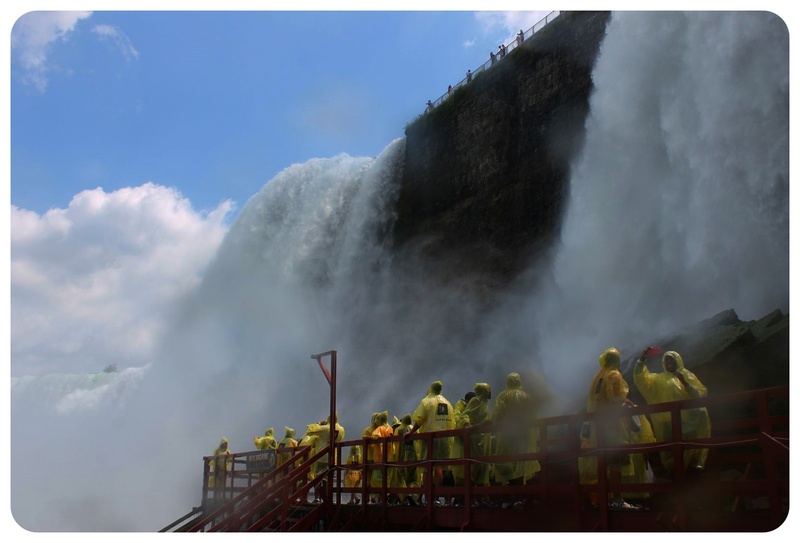 You can also take the 30-minute boat ride into the rushing Horseshoe Falls and get soaked that way, or you walk along the wooden walkways of the Cave Of The Winds experience. The cave that it is named after is long gone (it collapsed in 1954), but the walkways and viewing points, 175 feet (53 meters) deep into the Niagara Gorge, get you so close to the waterfalls that you basically get a free (and strong!) shower, especially on the appropriately named Hurricane Deck at the bottom of the American Falls. On this deck, you are only 20 feet (6 meters) from the Bridal Veil Falls! Admission for the Cave of the Winds experience is USD12 per person, the Maid Of The Mist is USD17. 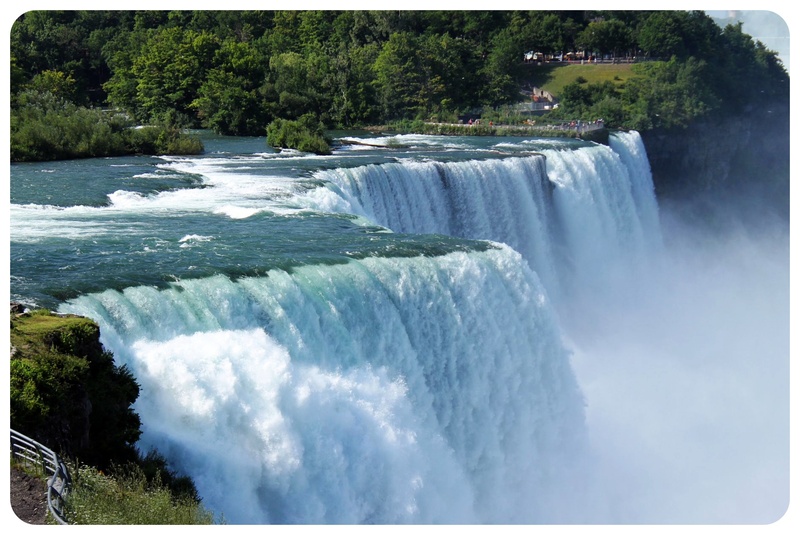 In addition to these paid-for experiences, there is are several viewing points at the rim, one right in between the two American Falls (on Goat Island, a little Island that separates the American Falls from the Horseshoe Falls). There is a hop-on hop-off trolley service in the Niagara State Park for only $2 per person if you have difficulties walking. Winner: Canada, these views are just unbeatable! It’s no secret that Jess and I weren’t the biggest fans of this town when we visited the Canadian side in 2011. The city felt tacky, everything was set up to get every tourist dollar possible: haunted houses (seriously, who needs four haunted houses? Especially in a city that small. 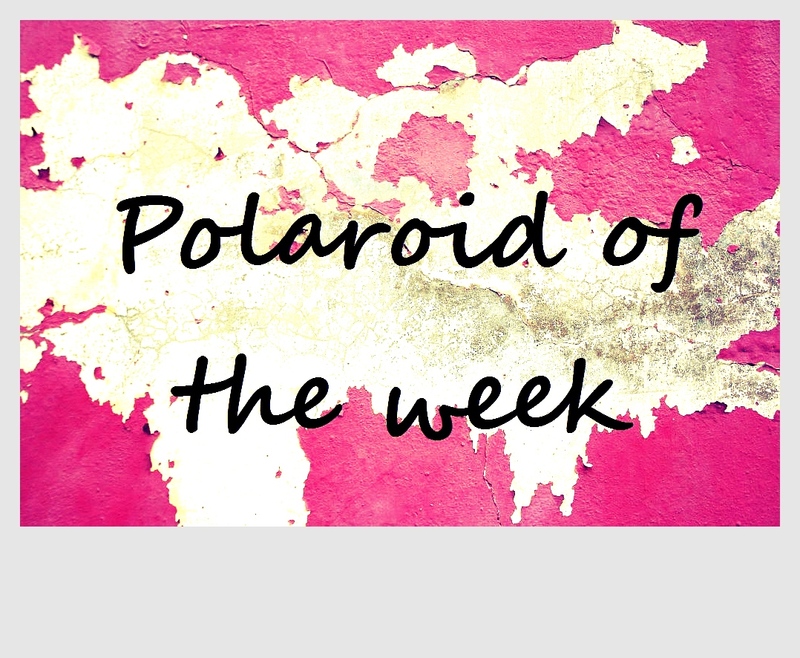 ), wax museums, Ripley’s Believe It Or Not, Hershey’s Chocolate World and many fast food chains. If you can’t entertain your kids with an awe-inspiring natural wonder, you’ll get the chance to do that here (and spend lots of cash). Ironically, most of the chains who set up shop here are American, it seems like even they knew the Canadian side is the one that’s bringing in the big bucks. For the grown-ups in need of additional entertainment, there are not one but TWO casinos to carry your money to. The American side feels more tranquil, less crowded and less tacky – other than a Wax Museum of History, a haunted house and an aquarium, and the giant casino that’s towering over all the other buildings, there is not much here. The town makes an effort though to provide some entertainment that you don’t have to pay for and that’s more family-friendly, like free board games, outdoor movie nights in the summer, concerts and even fitness events. You can find the entire program here. I thought that there was much greener here, and it is known that you can go on better hikes along the Niagara River from here. This side is definitely right for you if you’re planning a couple of hikes in addition to visiting the Falls. You can find some more details on the hiking options here. Absolutely no question: Visit both sides! I’d recommend planning in enough time to visit both Canada’s and the American side to get the full Niagara experience. I thought it was very similar to my experience at Iguazu Falls – while I got to get a real close-up encounter with the Falls on the Argentinian side, the breathtaking vistas are what you only get from Brazil. 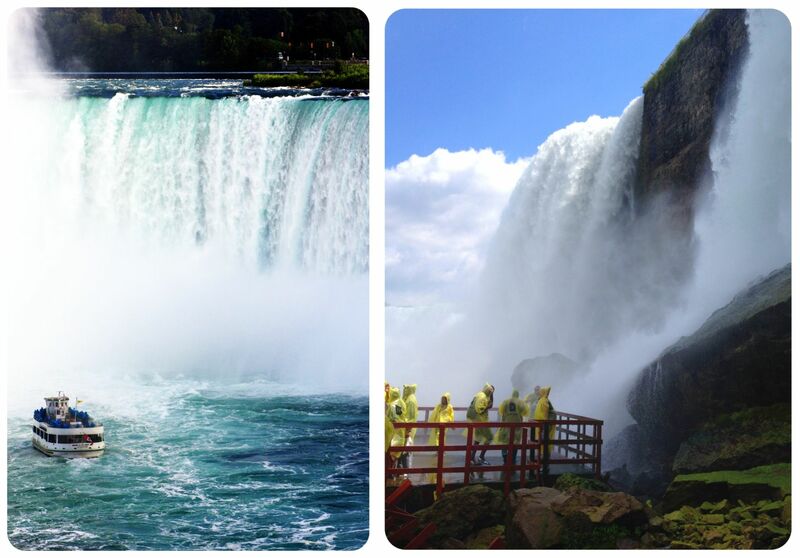 At the Niagara Falls, you get the greatest views from Canada, but the better close-up experience from the U.S. 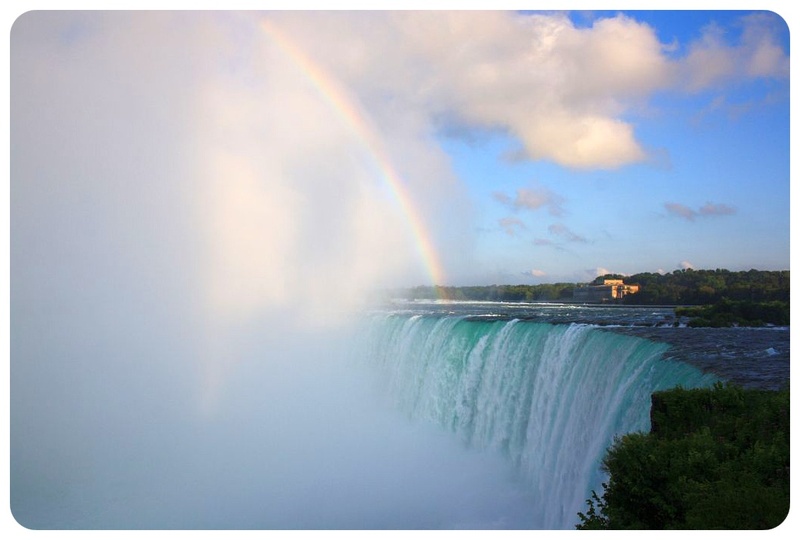 Thanks to the Rainbow Bridge, which connects Canada and the U.S. right by the Falls, you can easily cross from one country into the other – as long as you pack your passport! Make also sure to check visa regulations for your country of origin. The toll to cross the bridge is 0.50 Cent if you cross on foot, but higher for cars, RVs and trucks. You can find the current prices here. If you visit the Falls with your car, there’s no need for you to take it to the other side – you can just walk over the bridge and explore the Falls on foot, unless you aren’t in good health. As you would expect for one of the most visited tourist attractions in all of North America, there are plenty of tours you can book as a visitor. But which ones are worth it? 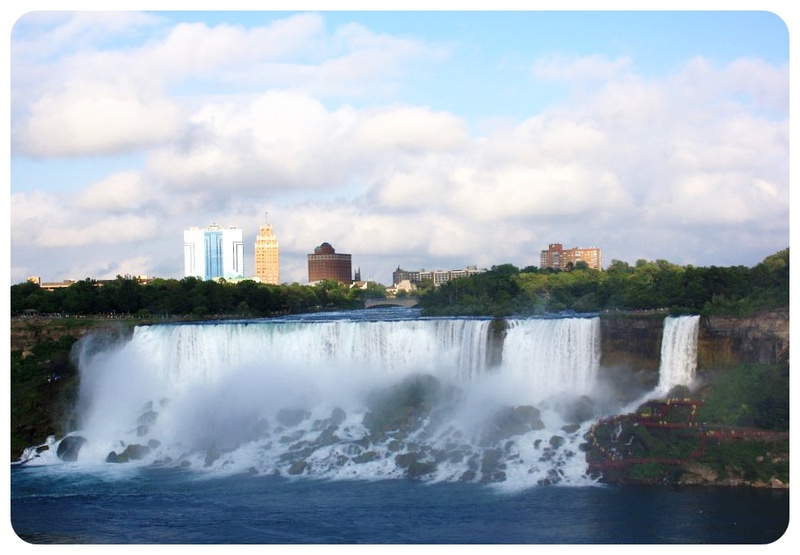 I am sharing the most popular tours you can take from both sides, the American and the Canadian Falls. 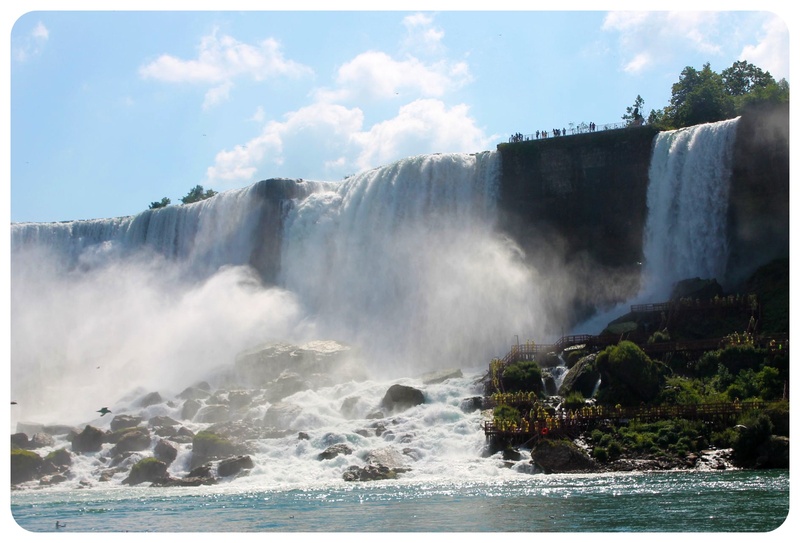 The essential ‘Voyage to the Falls’ Boat Tour (with Optional Fast Track): You will start on the Canadian side and tour the Horseshoe Falls, American Falls, and Bridal Veil Falls by boat. Tickets are only $24, or $28.65 for the fast-track tickets. American Falls Half-Day Tour: This includes a boat ride on the “Maid of the Mist” and the Cave of the Winds for a close-up Falls experience. 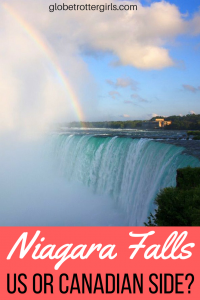 Furthermore, you’ll get to see the Falls from the top of the American Observation Tower and you will visit all key viewing areas of Niagara Falls including Goat Island. 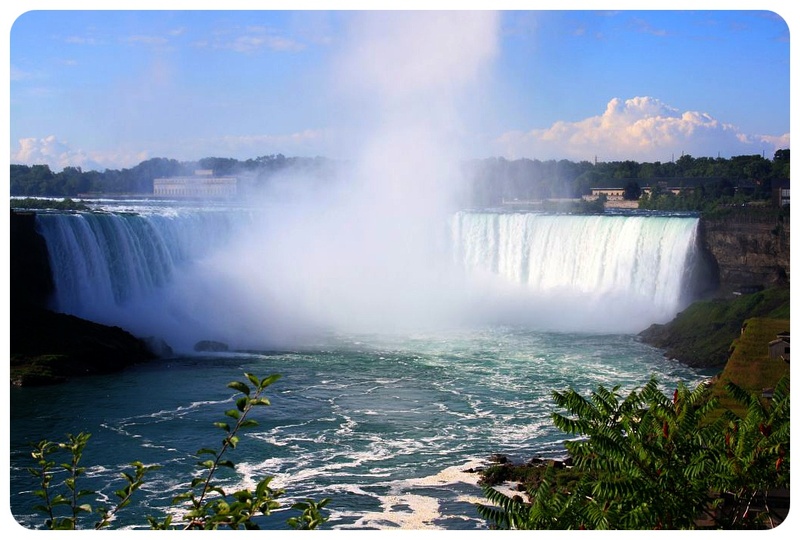 Above & Behind the Falls (Canadian Side): This 5-hour tour includes a Hornblower Niagara Cruise, a visit to the tunnels underneath the Horseshoe Falls, and the observation deck on top of the Skylon Tower to enjoy panoramic views of the Falls. Niagara Falls is one of the most popular tourist attractions in North America, so naturally there are plenty of hotels around here. Be careful though: There are also a bunch of cheapie motels that are very basic and some are downright filthy. They are cheap, but not enjoyable, trust me. Before you book a hotel or motel, make sure to check the latest reviews before going for what may seem like a bargain deal, and the review score. I’ve put together a few options on both the Canadian and the U.S. side for you, for all budgets. Note: The Canadian side has considerably more options, including some hotels with direct views of the falls from your hotel window. 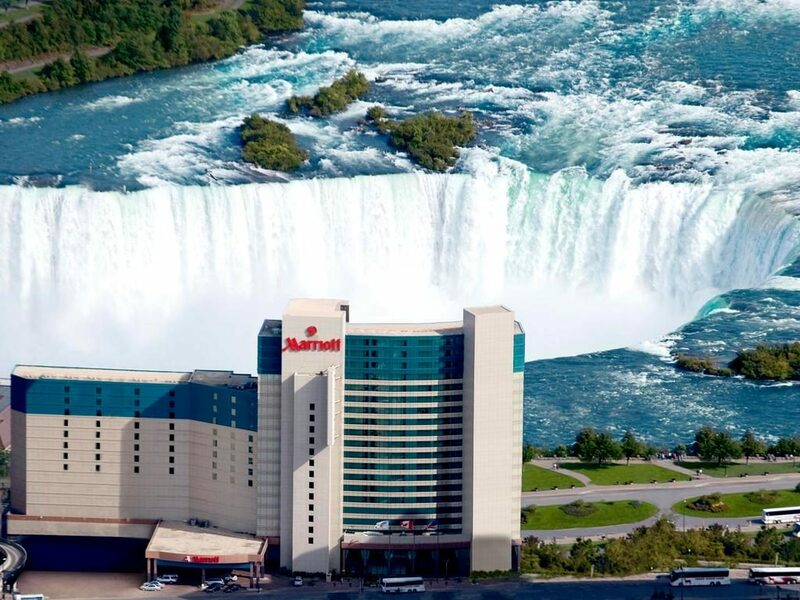 It’s definitely worth to splurge on a room with a view of the falls! Budget: There are a couple of gorgeous B&Bs which offer accommodation for under $100, including breakfast. Mid-range: The mid-range hotels are pretty much all major hotel chains. The Sheraton and even the Radisson are much better than the overpriced Hilton, both have rooms for around $160, compared to a starting price of $300 for the Hilton. And both have spectacular Falls vistas! High-end: There isn’t much here in terms of truly luxurious hotels, but the Marriott Fallsview Hotel & Spa is your best option. Note that Marriott has two other properties here, the Marriott Courtyard and the Marriott on the Falls (in case you want to use your Marriott points). Budget: There are several sub-par motels here, read some reviews before you book. A B&B will be a much more pleasant choice. High-end: Just like on the Canadian side, there aren’t any truly luxurious hotels around here, but the Giacomo boutique hotel stands out. All three options are still under $200 per night. Stay at an Airbnb and cook for yourself! Having a kitchen and being able to cook for myself is always the biggest draw for me to stay at an Airbnb, and after two visits to Niagara Falls with a number of disappointing restaurant visits there (read: overpriced and forgettable meals), I’d stay at an Airbnb on my next visit. There are a number of rooms and entire apartments listed on the website on both the Canadian and the U.S. site, starting at $30. Use my referral link to sign up for Airbnb and get up to $30 off your first booking! Have you been to Niagara Falls? If you have tips and recommendations how travelers can maximize their experience, feel free to share them in the comments below! Both sides look amazing, I had a trip booked to the Canadian side a few years ago but some things fell through. I had no idea just how much smaller they were than Iguazu Falls. Nick – what happened that the trip fell through?? Oh no! I hope you’ll still make it there one day! Ahh it was just that I was planning on travelling there with a girl I had just started seeing in BC. We booked tickets but had a falling out. So it goes. I’ll get back there! When you said behind the falls I actually thought that you would get to walk all the way behind and see that curtain of water. I wonder if that’s even possible (with harnesses and stuff) or if there’s not enough space. Anyways, must be cool to be able to hear the power and force that the water generates! Great comparison of the two sides! And it’s true, Niagara Falls must be visited at least once in your life and both sides have something different to offer so you might as well visit both! Hi, I’m trying to figure out if it’s reasonable to not only walk from one from one side to the other over the bridge, but then walk to one of the gorge trails and then enjoy that. Or should I just plan a gorge trail on the side we stay on. As much as I think it’s an over-rated attraction (especially if you live in Toronto), the Falls is still VERY impressive! And I totally agree with you that the Canadian side is tacky, to say the least. But, we do have a saving grace, in the form of Niagara-on-the-Lake, though, so I think we redeemed ourselves that way 🙂 Glad you enjoyed the natural wonder! I’m looking forward to reading your posts and recommendations on Buffalo, as it’s a city I ALWAYS pass by, but never thought of visiting/stopping by. We were certainly shocked when we visited for the first time, from the Canadian side. And I was surprised that Canada was worse than the US in that respect – you’d think it would be the other way around. Canada is usually so good with keeping its natural beauty protected and undisturbed. The downtown area of Niagara Falls in Canada is definitely tacky but there is a spectacular parkway trail that runs along the river from Niagara Falls to Niagara on the Lake. It can be hiked, biked or driven. If you haven’t seen this, then you’ve only experienced less than half of what the Canadian side has to offer in terms of the natural beauty of the Niagara area. As a Canadian I really think the Canadian side is far better.! When anyone mentions Niagara they think of Canada. Yes, the town is a bit tacky but that is it’s charm. Every time we go there we have so much fun. It is a very old town and it hasn’t changed much. Also the film Niagara is centered on the Canadian side. Lets face it. Niagara Falls is the Horseshoe Falls, end of. Hi! I am planning a 2 day trip in early January and I’m so glad I found your site! Never been before so I was researching how to cross ……Rainbow Bridge on foot sounds awesome and exactly what I was looking to find out. So we dont need a car and we can all just walk – perfect! Cant wait to go….been on my list for many years! thank you. Helen, thanks so much for taking the time and commenting 🙂 Make sure to bring your passport so that you’ll be able to walk from Canada to the US or vice versa. I bet it’ll be magical to see the frozen falls (assuming they’re frozen at that time of year). Enjoy Niagara! Hi Dani – You are hot. hi! 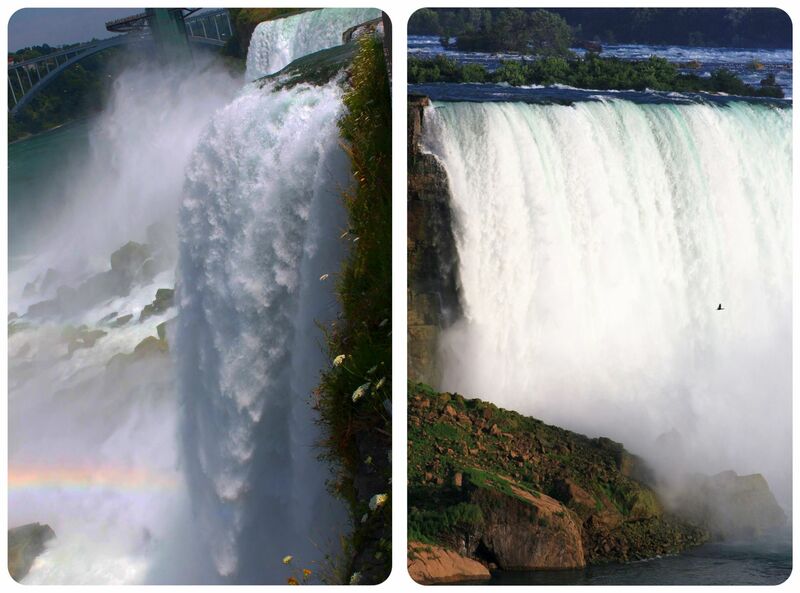 can someone of u tell me, wich country the actual falls are? US or Canada? Border is right in the middle of the river? Falls in US side? Hi – planning a trip in May , staying on CA side but not sure which boat ride to take. 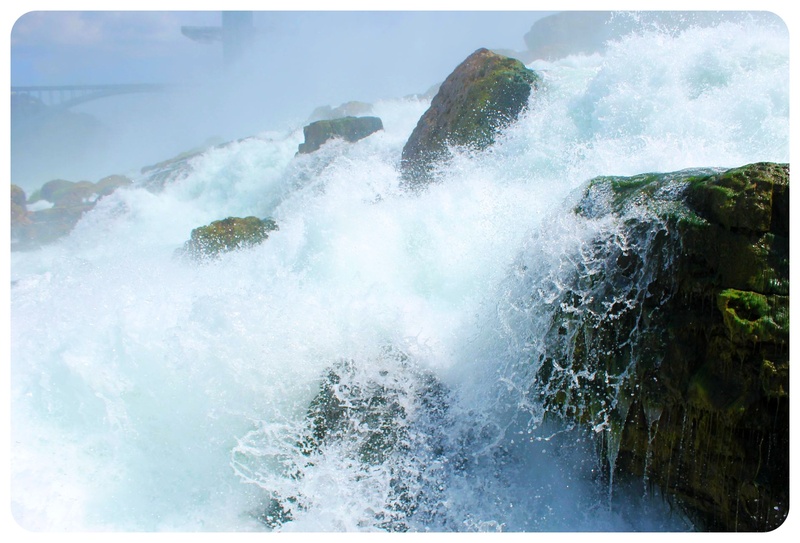 Maid of mist or horn lower. Any differences in the boat tours ? I hope you can help me! Our family (2 adults, 6 children ages 2-15) is planning a trip to Niagra Falls this summer. If we park on the US side, is it reasonable to think we can hike to the Canadian side (with passports & birth certificates in hand, of course!) and take in the views you mention then walk back in one day? Do you think the bridge you mention is stroller friendly? THANK YOU for any help! Thanks for this balanced view of the Niagara experience. I have found it really helpful when planning my visit in June. Thanks, Sarah 🙂 Enjoy your trip!! The Falls are amazing. So glad I found your site! We are going today! Ashley – I hope you had a great day at the Falls!! Did you enjoy it? Nice and balanced review. As someone who spent the first 18 years of my life in Niagara Falls, Canada , I can definitely say that the Canadian side has the better views. 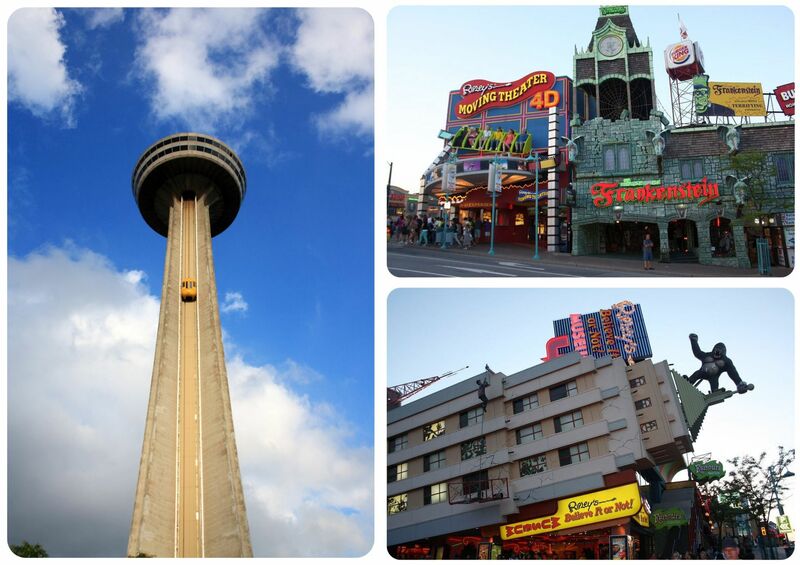 But it has always been a tourist town and Clifton Hill can be quite tacky. But spend some time in the surrounding areas. Niagara on the Lake is beautiful and I also liked Queenston Heights, although I was a kid when I was there last so it could have changed drastically in the last 30 years. But it brings back great memories. So you can just ride on Maid of the Mist and not have to pay for a 5 hour tour? Hi Bonnie, yes absolutely! No need to book a 5-hour tour. Hello all, I already booked plane tickets to visit for the very first time on Dec 28-Jan 1st, hoping to spend New Years there. I think it will be a great experience. We picked the Double Tree Hilton by the American side but would love to visit the Canadian side and go up to Skylon Tower. My question is, whats the best way to go around town and visit the attractions? I’ve heard traffic could be bad so renting a car might not be the best idea, and my hotel doesn’t have shuttle services. So maybe Im thinking Uber? or Trolley? which in this case will work on the american side, but what would be the best way to cross to the Canadian side to visit Skylon? Can you share how you did it? So I am looking for some advice here. I want to take my family to Niagara Falls for spring break which is the last week of March. I have 3 children ages 13, 9, and 3. So myself and my fiancé want to take them and I am trying to make it as inexpensive as possible. If we stay on the US side we won’t need to pay the extra cost of getting passports and I am wondering if there’s anyway to get good views of all the falls from the US side and without needing to get passports for all 3 of us. Also I am trying to find a descent inexpensive hotel to stay in. I want to find out activities we can do that are inexpensive but will still give my children the best experience. If anyone could give me any pointers I would really appreciate it. Canadian side has an indoor waterpark(3acres) which can be included in several hotel packages. So many more things for the kids to do on the Canadian side…they will love the indoor waterpark! I am doing a cross country road trip from Connecticut to Washington soon. Niagara Falls is definitely on my list, but I hadn’t thought about visiting both sides on my visit. I will definitely try now! Do you have any recommendations on which side to park? I am thinking of parking on one side and walking across to the other. Also, do you have a suggestion on time time allotment for the sightseeing on both sides?